Nathan Drake will be making his PlayStation 4 debut on October 9, just not in Uncharted 4. Naughty Dog Studios is putting together a 1080p remastered collection of the original three Uncharted titles in a collection dubbed Uncharted: The Nathan Drake Collection. It will contain Full-HD remasters of the PlayStation 3 entries of Drake’s Fortune, Among Thieves and Drake’s Deception. Purchasing the Nathan Drake Collection also provides access to the Uncharted 4 multiplayer beta. Leaked in part to an internal error that had a listing appear on the PlayStation Store, Uncharted was probably the most likely candidate for an HD remaster, especially after the strong reception of Naughty Dog’s last game and subsequent remaster, The Last Of Us. Uncharted was a powerhouse of a game visually, that managed to combine great animation and set pieces amongst terrific action directing. While the gameplay left a little to be desired with rooms full of swarming enemies, Uncharted was the definitive game of the PlayStation 3 and one of my personal favorites of last generation. A graphical fidelity upgrade from 720p to 1080p will certainly be welcome but it will be interesting to see if some of the mechanics are ironed out when they work on fine tuning the game. Uncharted: Drake’s Fortune certainly has aged the poorest of the three with clumsy shooting controls and awkward pacing at times. The delay of Uncharted 4 into 2016 was one of the things that has kept me from purchasing a PS4 to this point. Maybe the idea of playing the first three titles again is enough to stave off Sony fans that are hungry for a solid console exclusive. I’m trying not to read too much into the way that they are naming this collection as well. Titling the trio of games the Nathan Drake Collection is eyebrow raising with many wondering if A Thief’s End will permanently shut the door on Nathan Drake and introduce a new protagonist/antagonist. To me the Uncharted franchise ties into the charisma of Nathan Drake’s character, so moving away from Drake as the lead is hard for me to see past. It wasn’t a matter of if, but when. Naughty Dog formally pulled back the curtain on a Uncharted with a teaser trailer for their (obviously) PS4 exclusive. 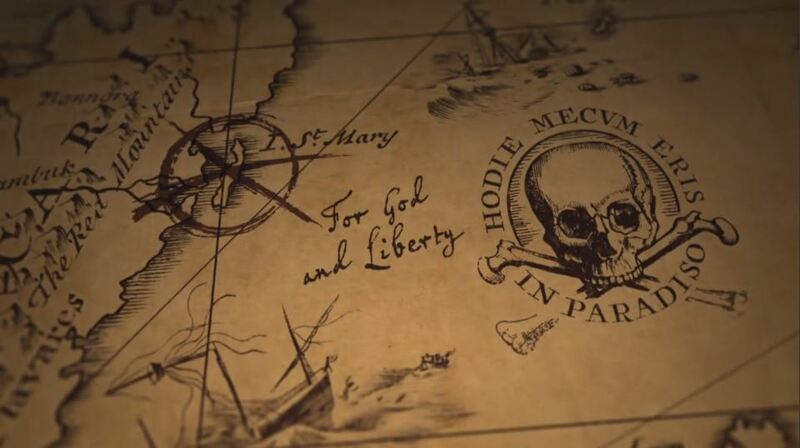 While no gameplay or really much of anything were revealed in the minute long trailer, we can safely ascertain there should be exploring, map reading and possibly Madagascar. In all seriousness however, the trailer doesn’t feature Nolan North narrating, so until the next tidbits come out, I will be speculating as to whom the mystery narrator is. Rumors have been swirling around the project that Nathan Drake may not even by the central protagonist and the tone of the teaser is certainly darker than previous entries. But whatever date the new Uncharted comes out, I will have my PS4 by then. Oh Naughty Dog, you are such a tease.